– Lyrics and music by Simon Finn and Errol Reid, recorded by China Black. It is hard to imagine but no search engine existed for the web until 1993. Of course, when it comes to doing research on the web, the one search site that everyone knows today is Google. But Google itself didn’t become prominent until 2000. Furthermore, Google is by no means the only or perhaps even the best search engine to use in every context. Compounding the problem, a web page of search hits may not display the research results that you are seeking – simply because so many websites are using SEO (Search Engine Optimization) to try to land their website within the first two pages of results. Accordingly, you need to know what other search engines are out there along with their attributes in order to carry out any real research over the Internet. These sites vary from searching websites to travel sites to medical information, books and scholarly articles. You can search to see what people are saying or search news services. You can even search sites that will post your question to live people (gasp!) and get back real answers. You can search items for sale, either by suppliers or by individuals. You can search for specialized knowledge (such as science information), or even people. There are websites such as FactBites [www.factbites.com] which search encyclopedias and Wikipedia to provide you with factual information (not search results based on popularity, which is what Google and Bing do). In terms of real research, this is a great starting point. 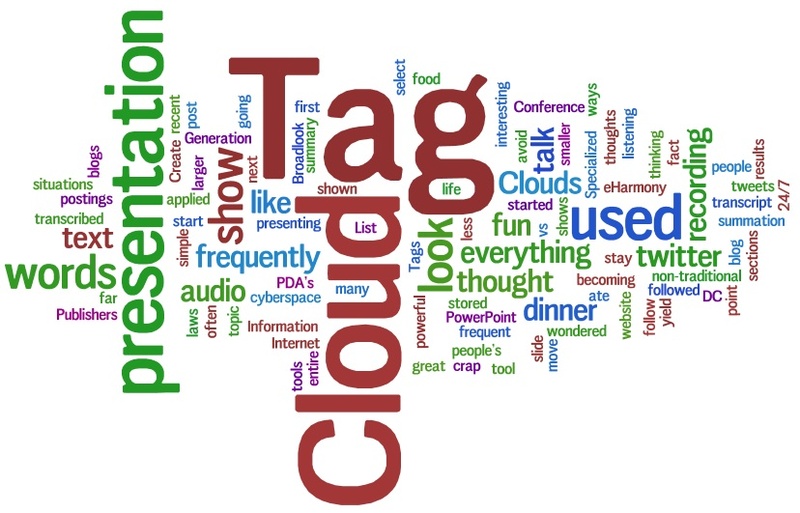 There are search engines that don’t just display lists of results but also display a “Tag Cloud” with the size of a word (search term) being larger or smaller by the number of hits relative to that term. You can see the results by “hovering” over the words in the tag cloud. Example: Quintura. There are sites such as Biography.com that allow you to search 25,000+ biographies by name, keyword and profession. Or search LinkedIn for current information on 100 million people. You can search for sounds on FindSounds.com and find an amazing variety, from alligators to windshield wipers and zebras. Quotations and famous speeches can be searched, read and heard. You can even search out search engines from other countries. When you are searching and lost and can’t seem to find yourself, there are any number of roads that you can take… who knows where they will lead you. Lyrics and Music by: Chris Porter/Howard New/Peter Gordeno, recorded by Leon Jackson. This is another great guest post by Beth Flynn of the Ohio State University Leadership Center. This time Beth is looking at Creativity (and leadership). Myth 1: Creativity is only needed at the top. TRUTH: In today’s business environment, creativity applies to everyone. Myth 2: People are creative (or not) depending on their job or role. TRUTH: You role has nothing to do with your creativity. Myth 3: Creativity is “born:” it can’t be developed. TRUTH: Yes it absolutely can. MYTH 4: Creativity isn’t my responsibility. TRUTH: Today, creativity is everyone’s responsibility. MYTH 5: Creativity can’t be managed or harnessed. TRUTH: Developing creativity is the primary role you will play as a leader in the twenty-first-century business world. Myth 6: My technical skills and experience are enough. TRUTH: Creative problem solving, original thought, and imagination have become the currency for success in the new world of business…and life (Linkner, 2011, p. 207-209). From: Linkner, J (2011). Disciplined dreaming: a proven system to drive breakthrough creativity. San Francisco: Jossey-Bass. Disciplined dreaming is available from the OSU Leadership Center. Click here to borrow this resource. Learn how the Ohio State University Leadership Center is inspiring others to take a leadership role that empowers the world at http://leadershipcenter.osu.edu . To begin receiving Leadership Moments, or to update your information, please click here to access OSU’s Mailing List. Thanks Beth for another great leadership post on how all of us can move past the myths in becoming more creative. I can say ..every time you are near I get creative! Lyrics, music and recorded by Sandwich. Write a post that describes what quick, uncomplicated, untechnological habits or practices make all the difference to your practice, in 100 words or less. Stop procrastinating. Now. Or as Nike says, “Just Do It!”. Deadlines and to-do’s and such don’t get better with age. Enter them in your Outlook calendar with associated alarms, flags and ‘Due Dates’. Use ‘Categories’ to classify them as “Limitation Dates” and such. Follow up on them regularly or even better, use shared calendars and have one person in the firm designated to review all important dates weekly and ensure that they are all met. Turn yourself around from a procrastinator to a doer. Let people know that they can count on you. Words, music and lyrics by Leonard Cohen. I have been thinking of Lawrence’s ideas in a slightly different and I have to admit, less lofty context. It has to do with the fact that legislators, when they consider regulations and laws, need to focus not just on the law but also on how that legislation will be implemented into code. In other words, Law is Code. Passing laws that enable existing ‘things and processes’ – such as efiling, billing etc to be done electronically may only end up magnifying the inefficiency of the existing analogue process if thought isn’t put in as to how that law will be implemented as Code. Take billing for example. We are quite accustomed to receiving a paper bill and paying that bill by mailing a paper cheque. Now consider if you allow bills to be paid electronically – the paper bill comes to your door and instead of writing a cheque, you pay the bill by transferring funds online. So far, so good. Now ..what if you allow a vendor (in this case a lawyer) to bill electronically? Well, most lawyers will simply email out a PDF version of a paper bill. You haven’t really improved the underlying process. What if you went the next step and allowed a vendor to issue bills in true electronic form that can be read directly by a purchaser’s accounting system (machine readable)? Now that is an improvement that utilizes the efficiency of the technology and truly changes the workflow. Problem is – that most laws require lawyers to sign invoices. How do you sign a truly electronic invoice? You could apply a digital signature – but most accounting systems are not set up to either apply – or read – such signatures. What happens, at least in BC, is that the lawyer sends out a signed letter stating that they are submitting the electronic invoice (and keeping a signed copy of the pre-bill indicating that they approved the bill in human-readable form before it was sent). In this case I submit what is required is a change in the law that reflects that legal billing may be capable of being implemented as Code in a truly electronic process. A second example is filing documents in the Land Title Office. Now today, virtually all basic land registrations in BC can be done electronically (and in fact in most cases must be done so). The requisite electronic documents are prepared using various applications, typically cloud-based. They are submitted into the Land Title Office using digital signatures (in BC at least). The problem is..the forms have not yet caught up with the fact that lawyers and law offices are automating (ie applying digital workflows) to the land title filing process. For example, if the information to be inserted into a particular form field is too long, then it has to be placed into a Schedule. The e-forms have been set up as if someone human is filling them in and determining if the text is too long. Problem is that law firms with large practices would like to set up the document assembly process so that the text is inserted into the forms without the need for the paralegal to stop the process if necessary and then complete the schedule as required when the text exceeds the form field length. In this case, the law which allows for e-filing (indeed, requires it) needs corresponding Code that fully implements the electronic filing process. Law makers of all stripes now need to think in terms of systems and consult with technologists in terms of not only formulating the law but in considering how the law will be implemented. Where there is a law, that law should be given a hand by technologists in terms of how it will be coded so that it comes to terms with the (increasingly) digital world in which we all work. Lyrics and music by: Stephen Duffy and Steven Page, recorded by Stephen Page. This is another guest post from Beth Flynn of the Ohio State University Leadership Center. To be a successful leader-manager, you have to be decisive. Probably the most frustrating thing to employees is working for a leader who can’t make a decision. The phrase “don’t be a definite maybe” is well known. The problem is that no one believes he or she is a definite maybe. The term itself is demeaning by what it implies. We all think we make decisions in a prompt or decisive manner, but I wonder if that is true and if it is what our employees think. I found that most leaders could make decisions about things quite easily. It’s making decisions about people that is difficult. 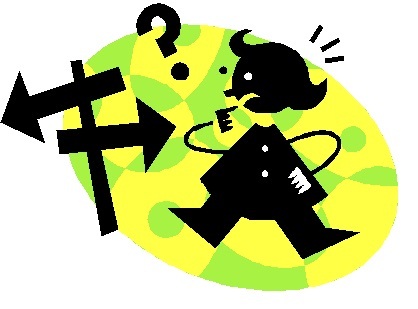 In many cases, middle managers can’t make people decisions, or they will vacillate over them. When it becomes apparent to people in the organization that they are working for a definite maybe, they begin to lose confidence in that person’s leadership completely (Monastero, 2010, p. 75). From: Monastero, S. (2010). Winning at leadership: how to become an effective leader. Bloomington, IN: IUNIVERSE, Inc. Winning at Leadership is available from the OSU Leadership Center. Click here to borrow this resource. To begin receiving Leadership Moments, or to update your information, please click on Join Our Mailing List. Thanks Beth for another great leadership post on how all of us can move towards being a better leader by leaving our addiction to indecision behind!